VM Mobility, IP Address Mobility. Single physical circuit between multiple sites. Count the cost of failure. “What if a link goes down between datacenters? The challenge is how to make Layer3 DCI act like Layer2 DCI. Basic IP Routing, Always an option, combined with overlay networks for layer2. Any transport over MPLS over GRE ( ATOMoGRE ). Overlay Transport Virtualization ( OTV ). No Mac Flooding, OTV Edge devices use IS-IS to advertise MACs. 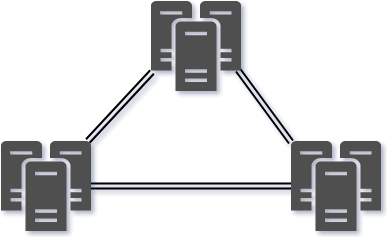 Virtual Extensible LAN ( VxLAN ).